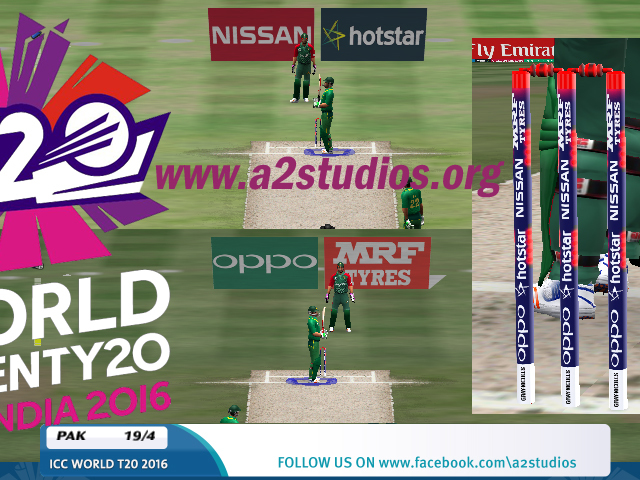 ICC World t20 2016 Graphics Set now available to download for EA Sports Cricket 07. Addy is back with bang! Serving you high quality graphics sets. Standing Pitchads and Blinking LED type Stumps are back! You will experience realistic gameplay graphics with this gem of a Graphics Set! Downloading made easy with Mediafire Links!